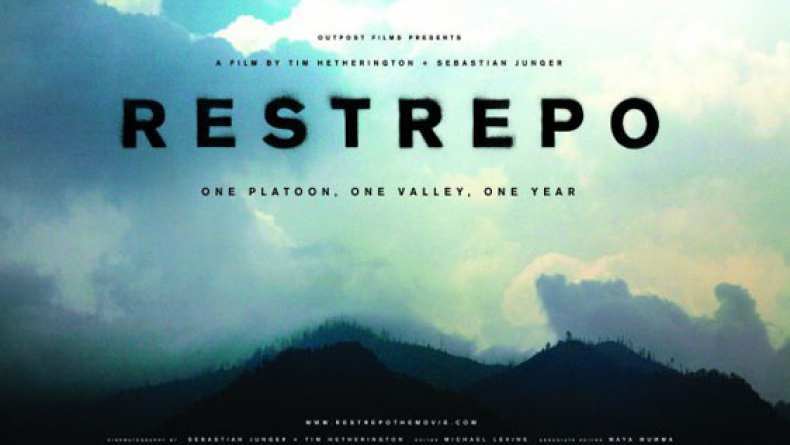 The trailer for Restrepo which will play at the 2010 San Francisco Film Festival. As unnerving as it is illuminating, Restrepo is an intimate portrait of a platoon posted to Afghanistan’s Korengal Valley, one of the U.S. Army’s most dangerous assignments. Codirectors Sebastian Junger and Tim Hetherington allow us unfettered access to soldiers and their anxious day-to-day existence. Although the platoon takes fire nearly every day, a few firefights stand out as especially traumatic, violently punctuating the soldiers’ daily negotiation of unforgiving terrain, logistical nightmares, political intrigues and cultural mishaps. Throughout, we witness moments of exuberance and breakdown, lending further definition to the ebb and flow of stress and wear on these youthful men. The establishment and defense of Outpost Restrepo (named for a fallen comrade) against often unseen enemy combatants soon becomes the primary task for these soldiers, undertaken with admirable professionalism even as they eagerly await the end of their assignment and the opportunity to return home. Echoing such classic documentaries as The Battle of San Pietro, Restrepo chronicles the surreal, Sisyphean tasks of warfare. With each victory, new problems arise, as the potential for mayhem and death constantly hangs over even the most miniscule chores. Post-assignment interviews reveal the considerable mental toll of the Korengal on the soldiers, while offering touching insights into the deep loyalty and fragility of these young men.